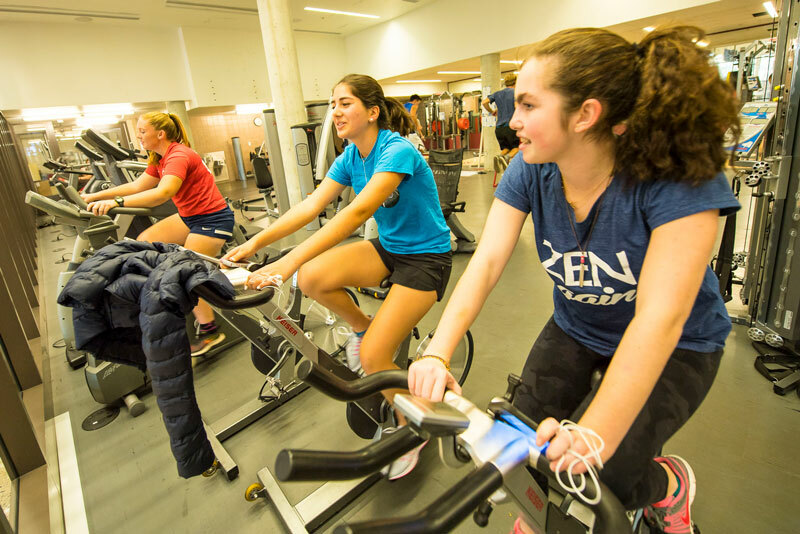 The Upper School physical education program provides opportunities for students to develop individual fitness and sports skills through a variety of activities, including team and individual sports. Our program also offers a health class and nontraditional fitness activities such as yoga. Dance is part of the physical education curriculum. At the core of our program are sequential lifetime fitness classes that emphasize an appreciation and desire for physical training and fitness as a lifetime goal. These classes are supported by a certified strength and conditioning specialist and our state-of-the-art weight room and training center.